Toshbia has announced the Satellite P885 laptop, the first in the series to bring the company's glasses-free 3D technology into the mix. The 15.6-inch Satellite P885 comes boasting a HD screen, Harman Kardon speakers and an Intel iSeries processor along with an NVIDIA 630 GT graphics card and DDR3 memory. However, it'll be the presence of the glasses-free 3D screen on a mid-range laptop which will really make the headlines. 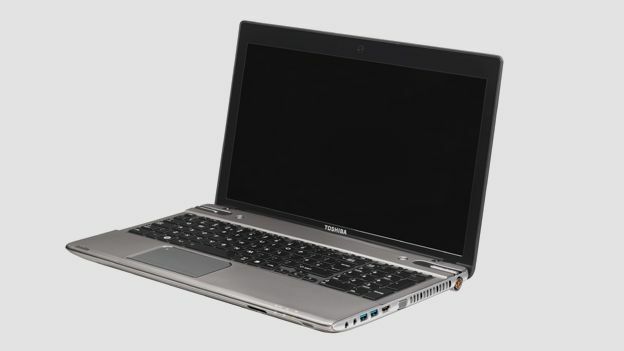 Previously, Tosh had pioneered the tech on laptops like its high-end Toshiba Qosmio F750 3D laptop. The laptop allows users to view 2D and 3D content simultaneously, with Tosh explaining that: "Using advanced Toshiba technologies, each model uses a lenticular screen that sends individual images to each eye, creating the illusion of 3D depth in every frame. An integrated webcam tracks the position of the face and adjusts the 3D image accordingly, ensuring an optimum viewing experience is maintained." The impressively-specced device also features a Blu-ray optical drive and up to 1GB hard-drive. There's also an HDMI out, Bluetooth 4.0 and four USB 3.0 outputs. The Satellite P885 will go on sale in the second quarter of 2012 for the very reasonable price of £599.